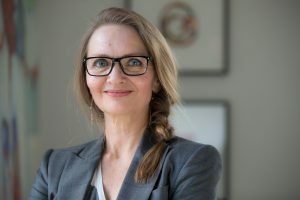 A graduate of Aarhus University and University of New South Wales, Charlotte is highly recognized as a specialist in managerial issues. Besides working on her next novel, she serves as a high-end management consultant for high performing industries such as the legal profession, finance, and defense. Charlotte keeps a blog on creativity, writes for a Danish broadsheet, and is generally an opinion maker in the Danish business community. People! I love to watch people, to examine what makes them unique, to understand their dreams and fears. I am privileged to have a job, that actually pays me to do just that. Then there are the stories, that just creep into my mind without me knowing where they came from. I work quite structured; perhaps because I have been in the business world for so long, perhaps because I have written so many non-fiction books. A story always starts with a character and for weeks the story and characters grow and develops in my mind, before I write anything at all. Then comes a point, where I roll out the big tools: huge sheets of paper for mind-mapping, excel sheets for time-lines and chapters, I create mood boards to help me understand the characters’ background, assemble big folders of research’s etc. After that I do an outline and only then do I start the actual writing. I am somehow inside my main characters, experiencing what they are experiencing, hear what they hear, see what they see. Write at least one page every day. It doesn’t matter what it is about, you just need to make necessary for you. It has to become a need. Like eating. I usually publish with Danish publishers, but this time I wanted the experience of having full control over the process, so I decided together with my agent, that we would publish with Amazon. I think self-publishing will flourish and that smaller outfits of publishing services will grow to become serious competition for the traditional publishing houses, who hopefully will pick up the glove and do some serious innovation to survive. And all of this is good for the book lovers. We will have much more to choose from, and prices are likely to drop.